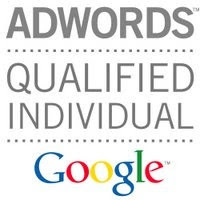 Bidding can be an easy process when using Google Adwords or Google Adwords Editor. Pick a cost that you are willing to pay for a click, sounds simple. However, in reality PPC bidding is much more strategic & competitive. In a very competitive industry, it may be important to hide your actual bid to keep a competitive advantage. One way to do this is by changing bids throughout the day using the Google Adwords bid adjustment. 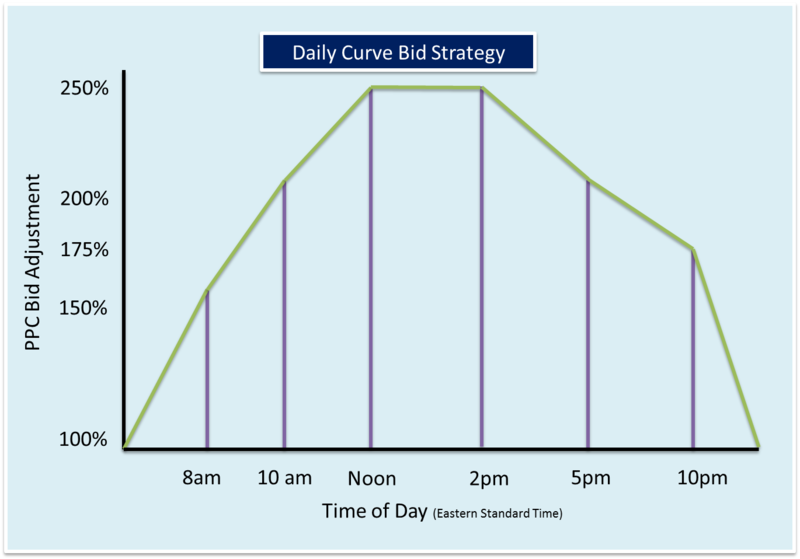 Starting at the initial bid, adjust up to the peak of the day (and the most you are willing to bid for a click) and then back down to the original bid by the end of the day. 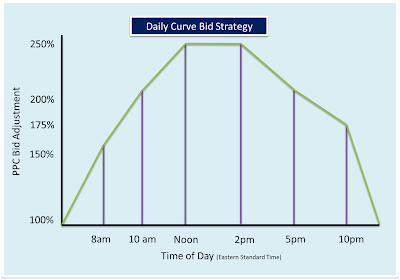 If hiding your intent to competitors is not important, you can use the Daily Curve to bid more aggressively when your customer service is taking calls. Or of course the reverse, if your customer service department is known to be overloaded during a certain period of the day (a reverse daily curve). Work with your sales team and customer service to bid accordingly. This strategy can also be used during special promotions and/or sales. Bidding higher during peak hours will show your sale PPC ads higher in search results and catch your competitors off-guard. The sale will be over before they know what hit them, plus your competitor will not know the exact bid (only the Average Daily Bid). Another way to hide your bidding intention is to bid randomly. Many campaigns are created with a campaign-wide max bid or a PPC Expert will use a standard starting bid ($2, $3, etc). Once your competitor profiles you to a set max bid, they will use the 1 cent less strategy to save loads of money. One way to lower a bid position just below your competitors is to bid 1 cent less than your average daily bid. Although not an exact science, at least you are moving in the right direction to bid competitively. Hopefully this will reduce your bid enough to move down one position with a lowered CPC, making your competitor pay the most they can pay for a CPC. Make sure you also take in consideration Quality Score when using this strategy. By bidding to position 1 you are giving Google or your bidding software the signal that you want Position 1, and you are willing to pay whatever you can to get it. Imagine your competitor is asking Google the same thing. Google would love to have this situation happen. This will unnecessarily increase the bid for position 1 until someone is no longer willing to pay any more for the click. For your most important keywords, keep bids at a level that will keep your ads showing in the top 3 positions. All three ad positions show above organic search results, making Position 3 the best value (costing the least to be shown just above organic search results). Don’t count out Position 4 & 5, these positions are still above the fold. Many searchers still view these ads, but don’t go too far down the page. Position 6 thru 9 are hardly seen by searchers and can still cost you money, especially if your click-through rate is low. The next best location for your ad after position 5 is the first position on page 2 (another good value and a better CTR). A must is to bid more aggressively on keywords lower on the conversion funnel and less for keywords on the top of the conversion funnel. Not necessarily anything new but a good reminder for bidding strategically. This will allow you to bid on keywords you know are more likely to convert, improving your ROAS. Your PPC bidding should be well thought out, take in consideration competitors and your own companies’ sales and customer service team. Never settle on a standard max bid and do your best to hide your true bid strategy. Plus, use these strategies to get a competitive advantage and pay less for each click in the process. Remember that bidding is a strategy that goes beyond your own CPC goals.